Its always good to get some fiber in your diet. 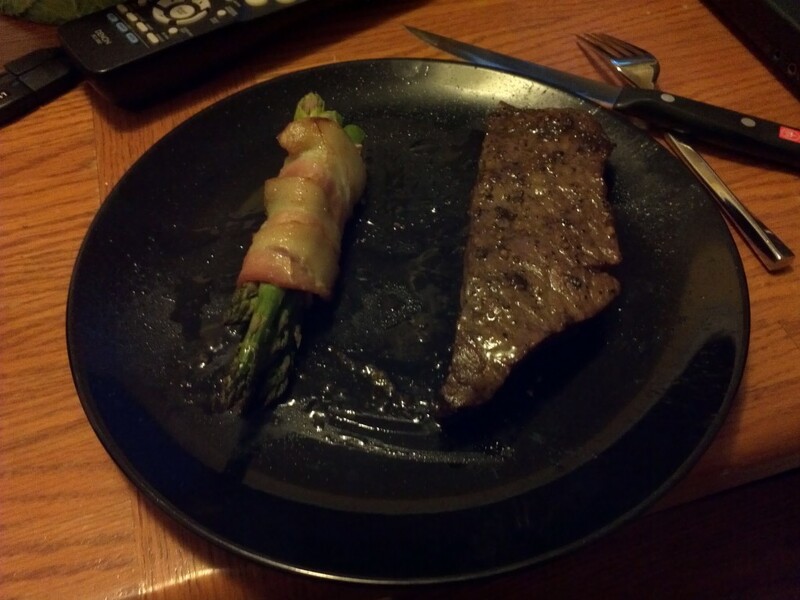 The good thing about keto is that fiber can always be wrapped in juicy bacon! 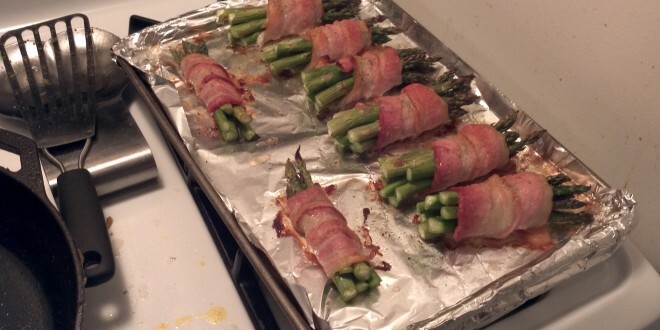 This one is pretty simple, just wash the Asparagus, cut off the end, and wrap with bacon. I used about 5 spears per bundle and wrapped with a whole bacon strip. When preparing Asparagus, first wash. Then hold both ends and bend it. When it snaps, throw away the base part. Hi! I’ve just found your website and it’s absolutely amazing. 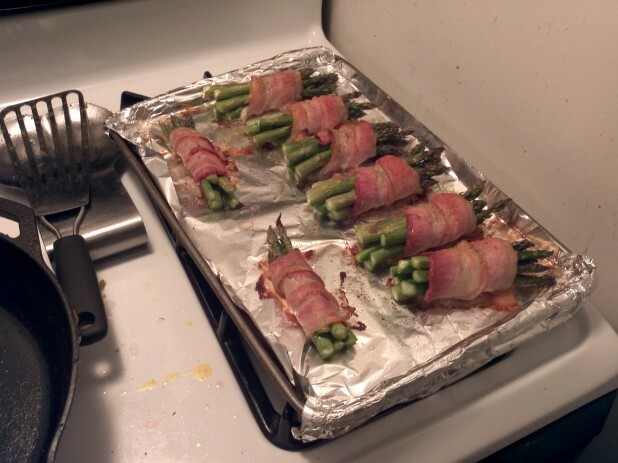 My family has made an asparagus recipe like this for years except we spread a small amount of cream cheese or fontina cheese on the asparagus spears, wrap them in proscuitto and bake.